System security users or groups can be added, deleted and updated. 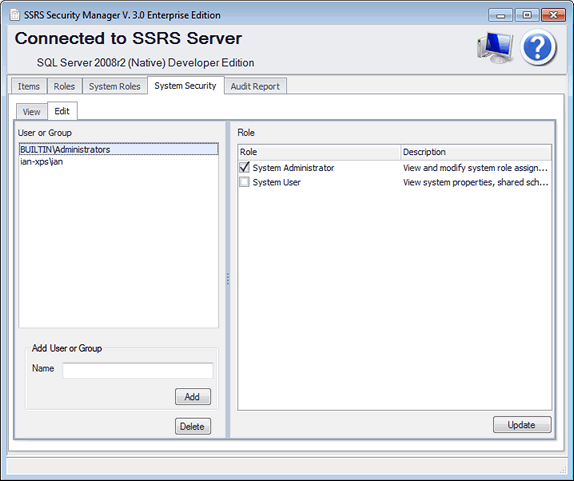 Adding a new system security user/group can be eased by clicking on a current user/group with similar roles, update roles then press the add button. This saves time selecting the roles from scratch.